This book is very interesting and inspiring. 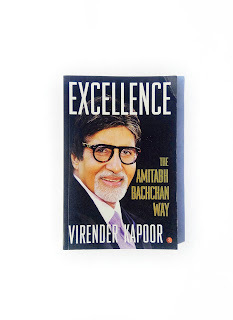 The book though has not covered every aspect of Mr Bachchan's life in a very detailed manner but has very nicely covered all the important chapters of his life succinctly without stretching it too much and keeps the interest of the reader alive throughout. This is a short yet profound book. It takes just an hour to read cover to cover and gives practical advice on how to do something that we all know we should do. The book is aptly written & the writers don't doesn't it at all. It is divided into nine enlightening and easy-to-follow chapters. The book is free of errors and language is superior, for which I must complement the author.